Carnation blossoms thickly overlaid with wintergreen and dusky bitter notes. It captures a moment before autumns falls into the winter and winter into the spring, a sense of something new and unsettling in the air. Its combination of earthy vetiver and nostalgic iris makes me think of fin de siècle parks filled with marble statues. A rich veil of chrysanthemum-like bitterness—a smell of leaves rubbed between fingers as one passes through the overgrown brambles absentmindedly caressing remaining flowers—folds over the composition. 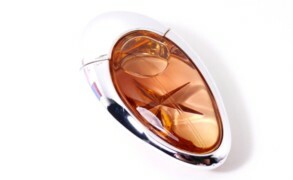 Created in 1948 by Francis Fabron, Nina Ricci L’Air du Temps was one of my mother’s favorite fragrances. Fast forward to the present. I lift the beautiful lid of intertwining doves off the bottle, spray the content on my arm and… Nothing happens, other than a whisper of something barely resembling the old beauty. It is faceless, utterly forgettable, filled with light and likable notes that together do not sing. If my grandmother’s bottle of L’Air du Temps is still preserved, I will wear it, otherwise I am not going near the reformulated version. Photo: Pushkin’s favorite statue in Tsarkoe Selo, a town near St. Petersburg, which was Russian tzars’ summer residence. Pushkin studied in the town’s Lyceum from 1811 to 1817. Bets: Can you tell by the color how well the perfume has lasted in an unopened bottle of L’Air du Temps? And how can you tell by the bottle itself when it was made? There is one listed in Canada on Kijiji, but how much is reasonable to pay for an unopened Lalique single dove bottle without knowing the quality of what is inside? I’m new to this and just found this site (but 2005?! so I hope people are still reading); I do very much appreciate your expertise! Diane: T, I believe the reformulation was in the 1990s, as I have a ’80s formula and it’s quite true to how I remember it on my aunt. V should have a more precise date though. Victoria: Tania, I think Diane is right. The reformulation is not older than 1980s. I hope that you will win your bottle. Please, share your impressions then. By the way, thank you is spasibo in Russian and djakuju in Ukrainian. Victoria: This is interesting, as Fidji and Anais Anais are the other two fragrances I remember well being worn among women of my family. Fidji in particular was preferred. I have not sampled it in a while, however I am afraid, because I expect that it has been reformulated just like everything else. Do you know anything about it? Reformulation is a grotesque thing. In the same way that, as Bakhtin says, the grotesque seems to retain elements of the real, but distorts and extends them in subversive parody, these reformulations can only be called modern grotesques. How I love your mention of Bakhtin, especially since I have been reading “The Dialogic Imagination” over the past few days. Of course, I cannot agree more with his take on the grotesque, and your extrapolation to perfume. I used to own an entire Ma Collection, a re-edition, and I ended up letting it go, because I would be disappointed by the thin nature of EDTs. There was something bland and citrusy in the opening notes, and while the drydown managed to achieve depth, the first olfactory impression was of something pale. I am glad that your mother was reunited with Moment Supreme afterall. Romina: Bless you for weaving Pushkin into that. PERFUMEKEV: Agreed. The Old L’Air du Temps is one of the greatest perfumes that ever happened. It is so epic in every way it is so full and broad smelling. It has the most superb diffusion. You can smell it but it is never too strong. 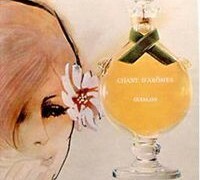 I have been fascinated with the smell of the old L’Air du Temps since I was a child. So many Women that I know have worn it. I have a tiny bottle of it that my Grandfather gave my Grandma a couple years after WWII. It is the most amazing smelling thing. It is such a sad shame that silly regulations and less expensive manufacturing processes have turned this once eternal beauty into pale caricature of the original. Over the past few years I always look for unopened vintage bottles of the bath oil. I got a couple of 2oz. bottles from the 1960’s they are sublime. I agree as usual with what Victoria said. It is interesting to me how the smell transforms from a very full floral bouquet First notes are touches of perfectly rounded aldehydes but barely detectable. then just like Arpege a quick succession of notes Neroli, Jasmine, Rose, Genet, which all land into a huge Carnation note that is spicy yet creamy and buttery just like the real flower. Then after a couple of hours the beautiful vetiver and sandalwood notes which are very rustic and autumnal like. Then the dry down that just never stops of the most airy musk, Vetiver, Sandalwood and still remnants of the flowers from the beginning. It’s Dry down is so beguiling. The old L’Air du Temps was love at first sniff. Once you are hooked you can never stop. 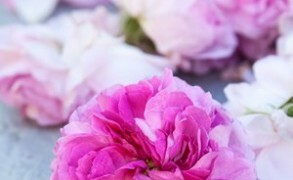 Luna: L’Air du Temps is an interesting fragrance – far-away, smelled from a distance, it’s a spicy floral. Up close, it turns into a sharp, slightly green, sap-like scent. My grandmother loved this, and thinking of her (she died in June 2014), I bought a small bottle on eBay. Worn gently spread out onto freshly-washed skin, like a veil, it has an exquisitely beautiful effect of gossamer femininity. It sounds strange (maybe to some people), but I find l’Air du Temps evokes what, to me, is the ‘ideal’ woman. It’s feminine, but not girly – it’s realistic French in style and execution. It has the sense of being restrained, it is gentle but it hints at some inner power. Considering that this perfume was developed after the war and was developed to evoke feelings of austerity and resilience, I can sense an “air” of hidden strength, of that sort of peace which comes after tragedy, and deep wells of inner beauty springing forth like flowers after a hard winter. Mojtaba: I’ve recently bought L’Air du Temps Couture Edition with yellowish green feathers around the bottle. On the box it is written that discver the genuine juice of l’air du temps! It means the producer claims this edition to be closer to the original formula. I don’t know vintage version, i haven’t tested it. This couture edition ro me is mainly a soft soapy spicy(aldehyde+carnation) perfume. It really does smell old fashioned and at the same time familiar and nostalgic. Has anyone tried this couture edition? How about you ms Victoria?